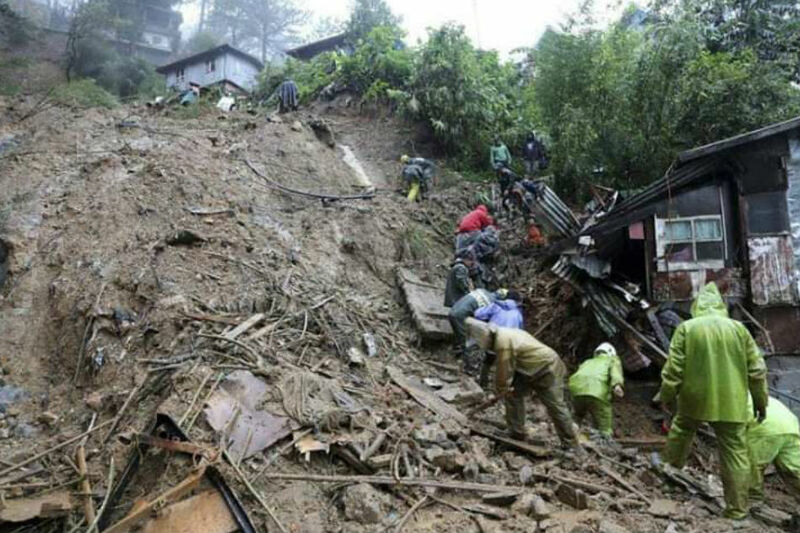 MANILA - Philippine rescue teams worked to free at least 30 people trapped under earth and rubble on Wednesday after a typhoon dumped heavy rainfall on a mountainous region, triggering floods and deadly landslides. Soldiers and disaster agency personnel managed to pass through blocked roads to reach the remote area during the night in northern Mountain Province, where a building owned by the local highways department was engulfed by an avalanche of earth. You must be registered to vote.